The Law Office of Michael A. Troiano will handle your traffic ticket matter in Las Vegas, Nevada from beginning to end. Instead of wasting half your day off, or missing work to attend court, Las Vegas Criminal Defense Attorney Michael A. Troiano can have your presence waived at your traffic hearing and attend on your behalf, in most cases. At your hearing, Mr. Troiano will negotiate your traffic ticket directly with the court, resolve your traffic ticket with zero demerit points on your license, and have your ticket reduced to a parking ticket, which is not reported to your insurance company, in most cases. Mr. Troiano has successfully handled a variety of traffic ticket matters, from the most common of traffic citations, such as, speeding tickets, cell phone tickets and failure to maintain travel lane or obey red traffic signal (aka “running a red light”). To the more serious traffic ticket offenses, such as, Open Container, Hit and Run, Reckless Driving, Careless Driving, Driving on a Suspended/Revoked License, Driving Without a License, and Speed Contest. Additionally, if you have missed your court date or missed a payment due to the court, Mr. Troiano can successfully quash your traffic ticket warrant and get you back in good standing with the court. 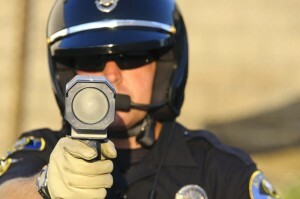 Getting cited for a traffic ticket in Las Vegas, Nevada can be a very frustrating and costly experience. Not only are you facing potential fines, traffic school and jail in some serious cases, if not handled correctly, the Nevada Department of Motor Vehicles will issue demerit points on your driver’s license, which can lead to higher insurance rates and a revocation of your license. You can trust The Law Office of Michael A. Troiano to handle your traffic ticket matter in a timely and efficient manner, and allow you to not have to deal with the hassle and frustration of traffic court.